A Plesk hosting subscription has its own login info, separate from your Panel login credentials. This is what you’ll use to access your files via FTP, for example. Your Plesk account may have more than one subscription attached to it, and we’ll see how to change the settings associated with each one in this tutorial. 1) Go to Websites & Domains. 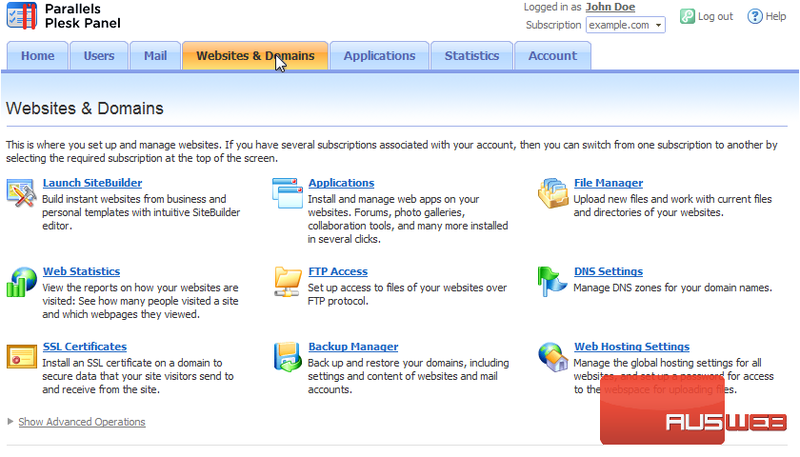 All the options shown on this page apply only to the active subscription. We’ll see how to swtich to a different one in a moment. 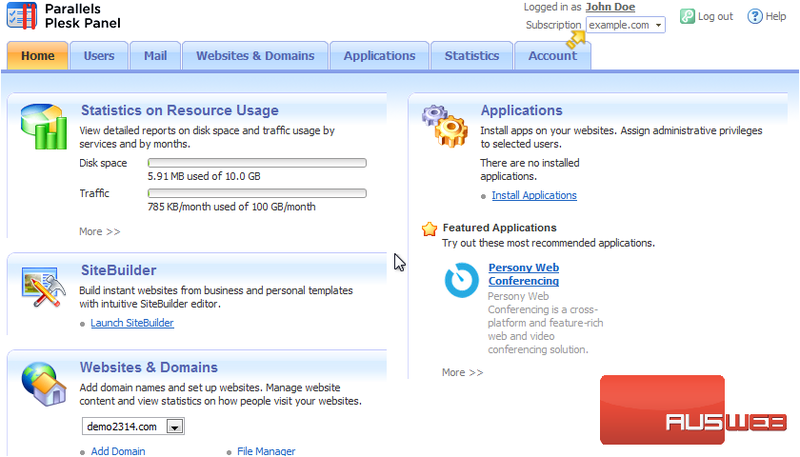 2) Click Web Hosting Settings. 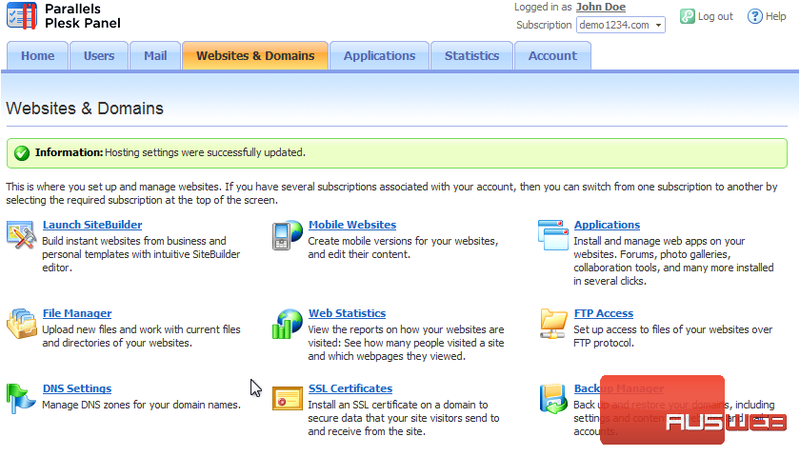 3) To switch to another subscription, hover over this box. 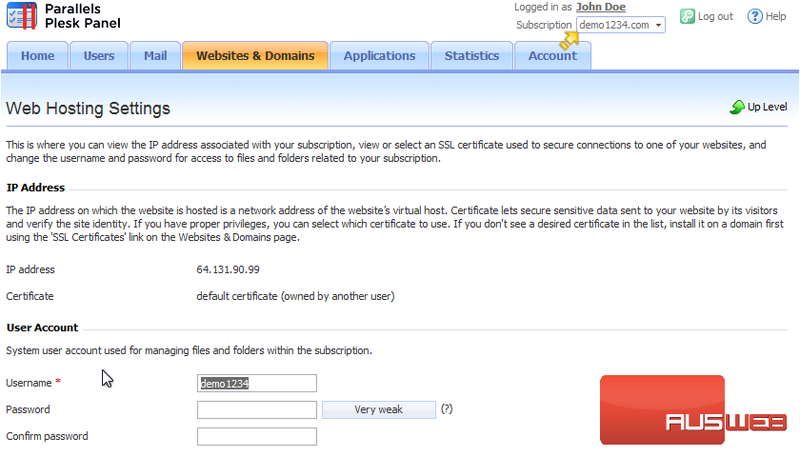 Note that if you do not have more than one subscription on your account, you will not see this dropdown. We’ll choose the second subscription.